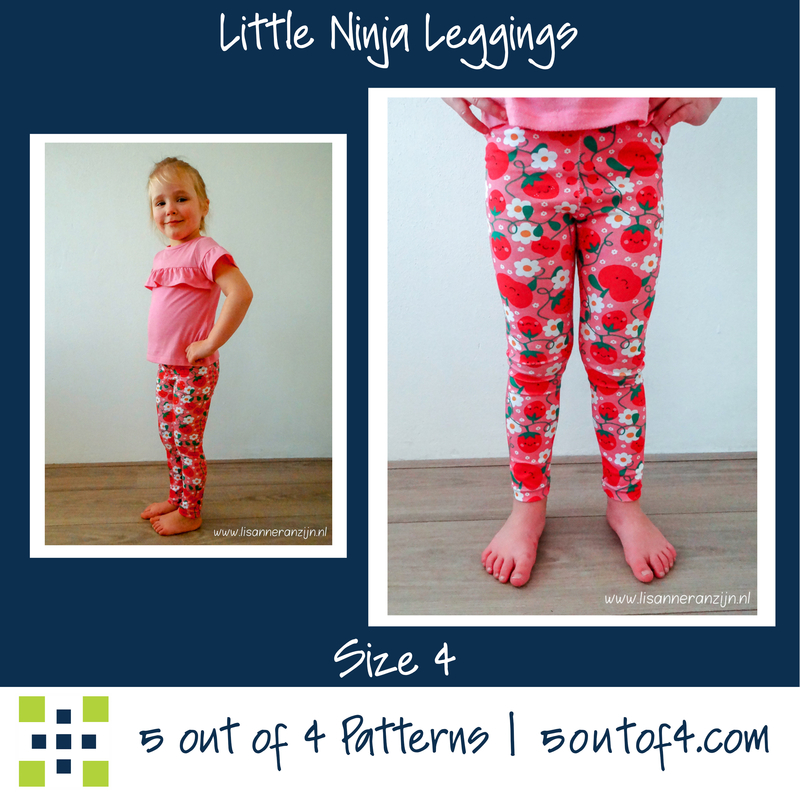 You’ve asked for Little Ninja Leggings for years and I’m finally getting it done! 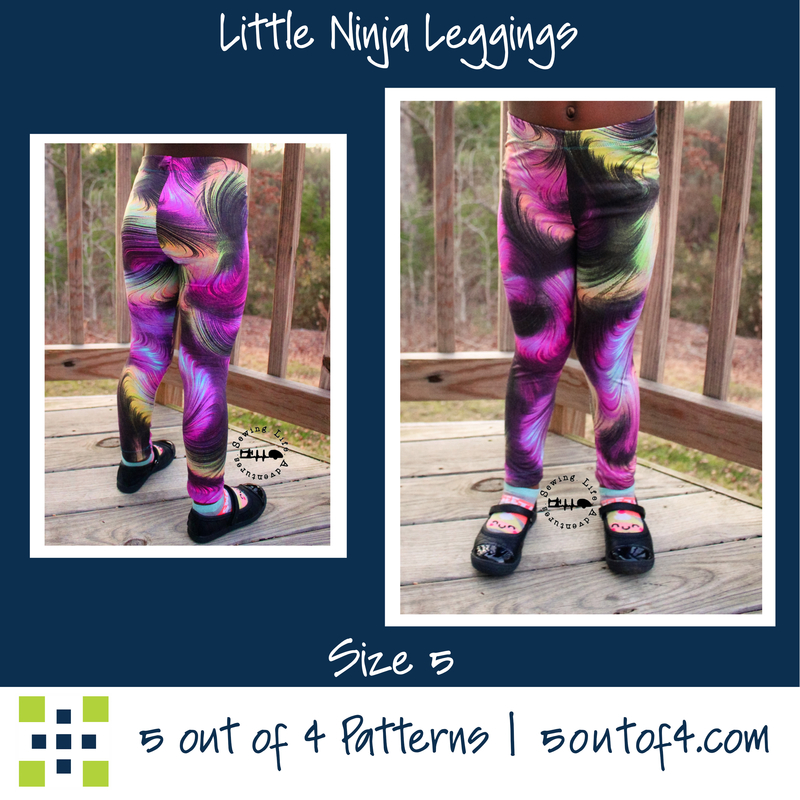 Woot woot! 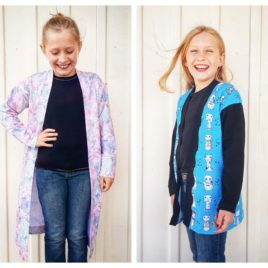 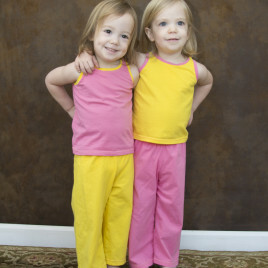 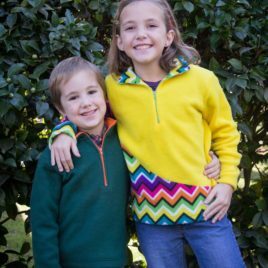 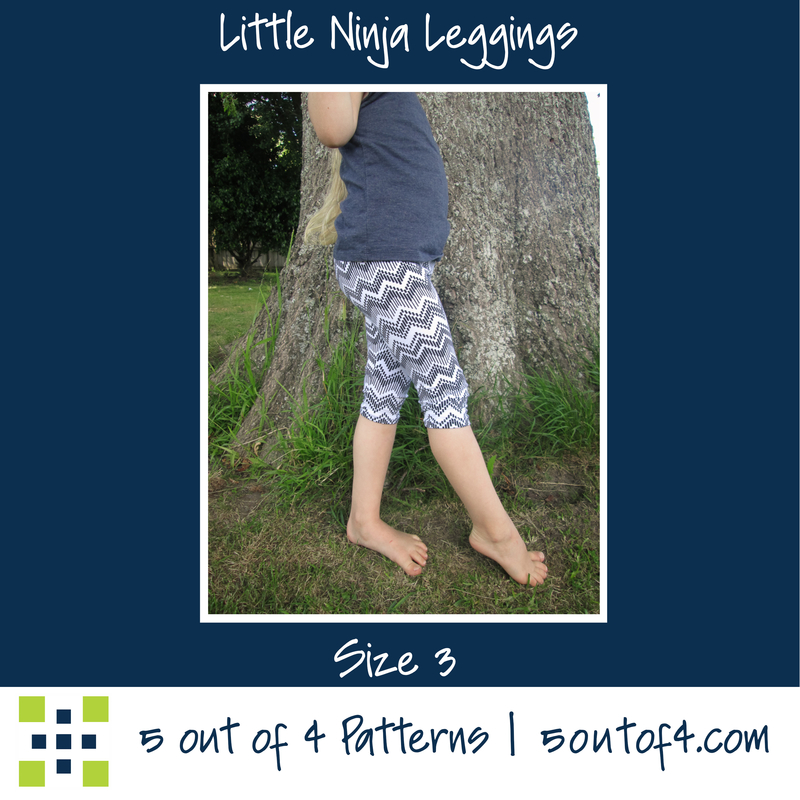 Leggings are a quick and easy pattern that is sure to please kids regardless of their age. 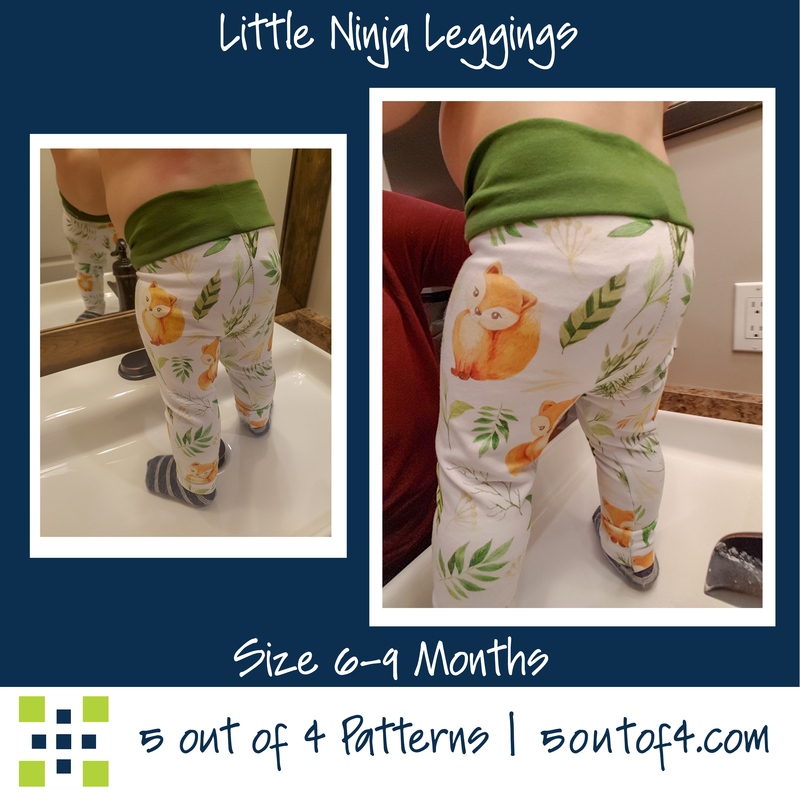 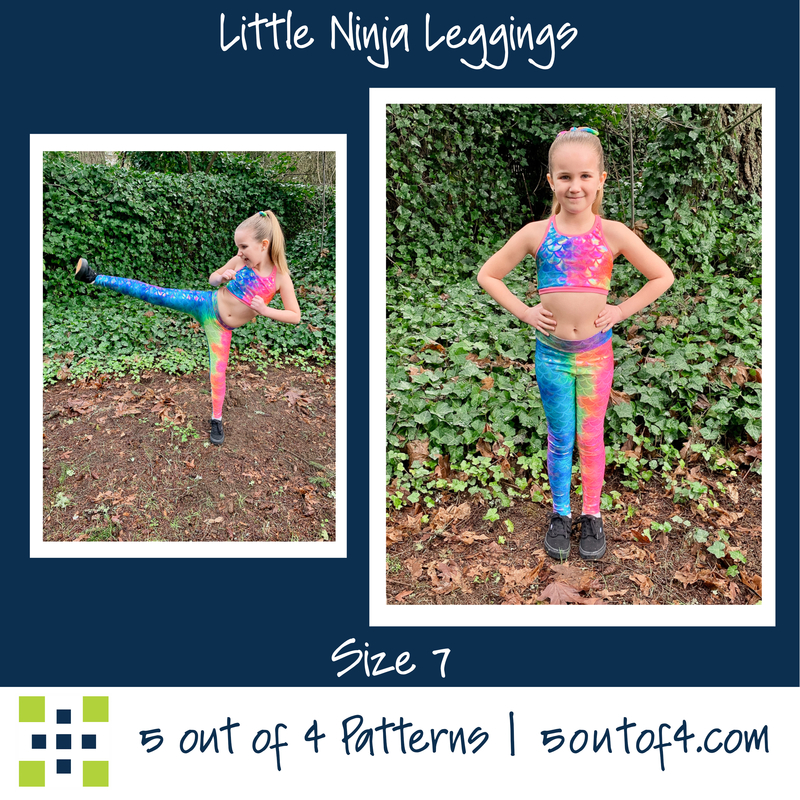 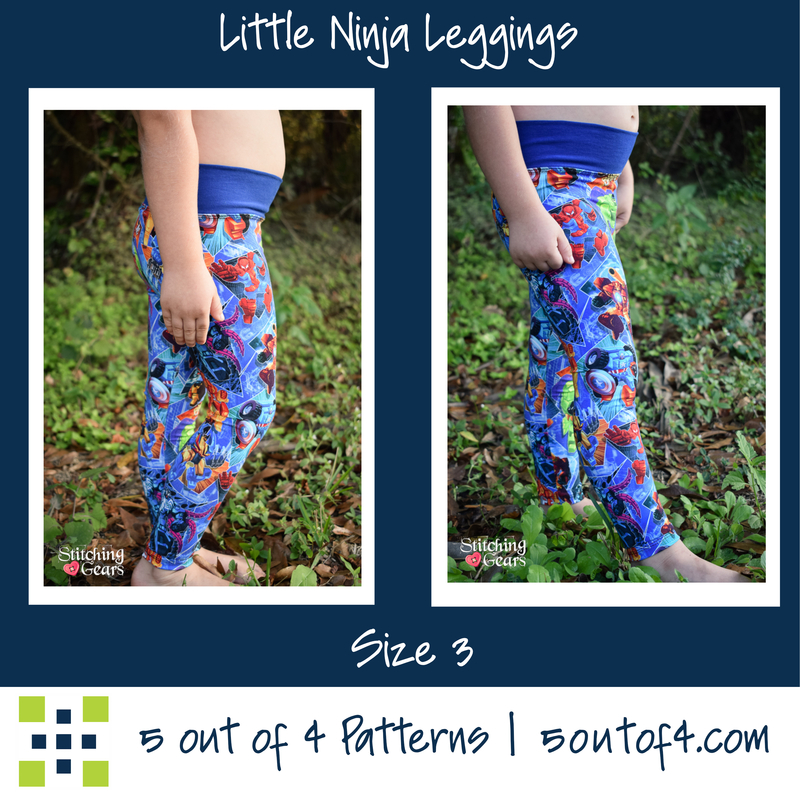 What makes the Little Ninja Leggings so special and different from other leggings?? 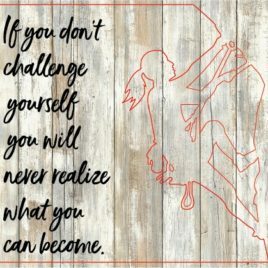 Well, read on my friend, read on. 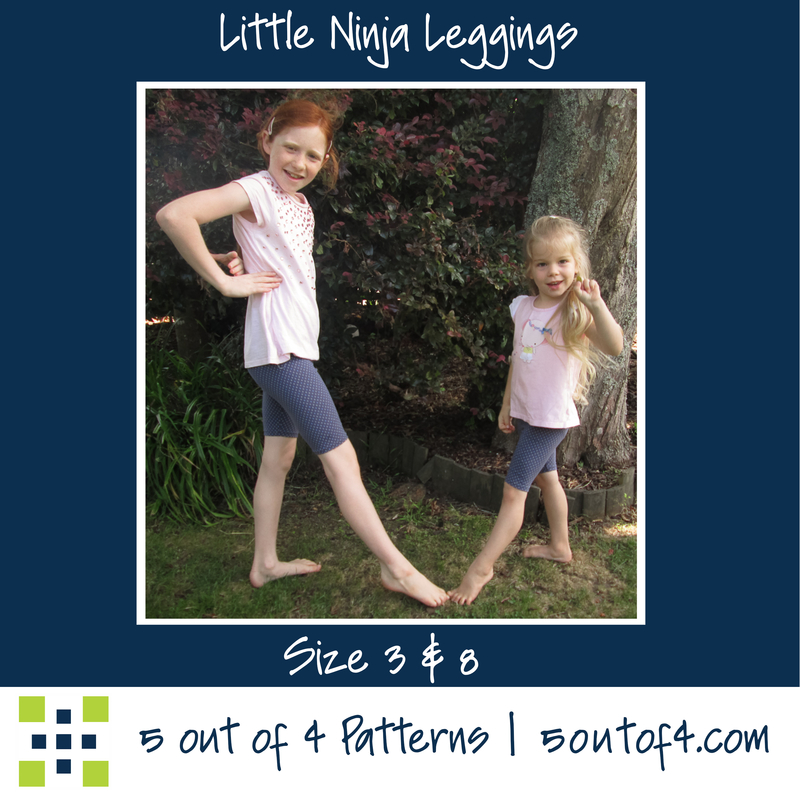 Multiple cut lines based on inseam plus capri length and full length. 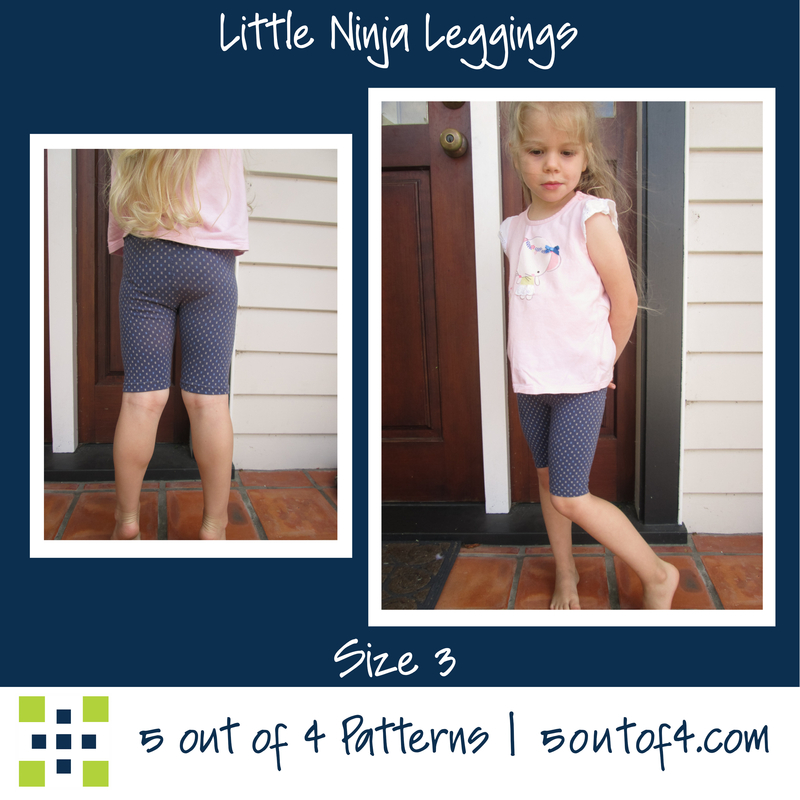 Options for full diamond shaped gusset, half triangle-shaped gusset, or no gusset. 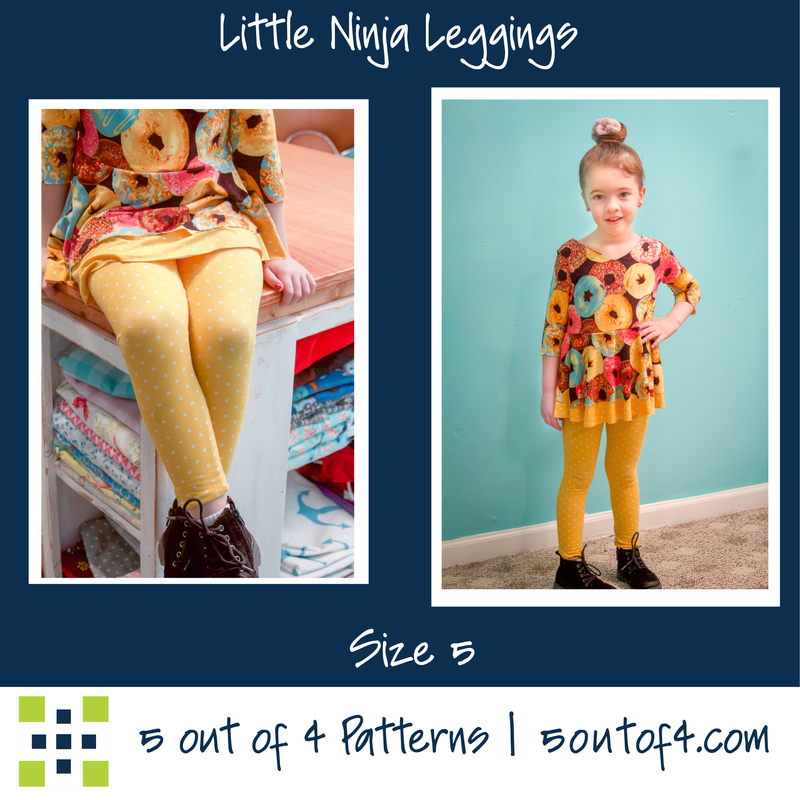 There are lots of leggings patterns available and a lot of them are free. 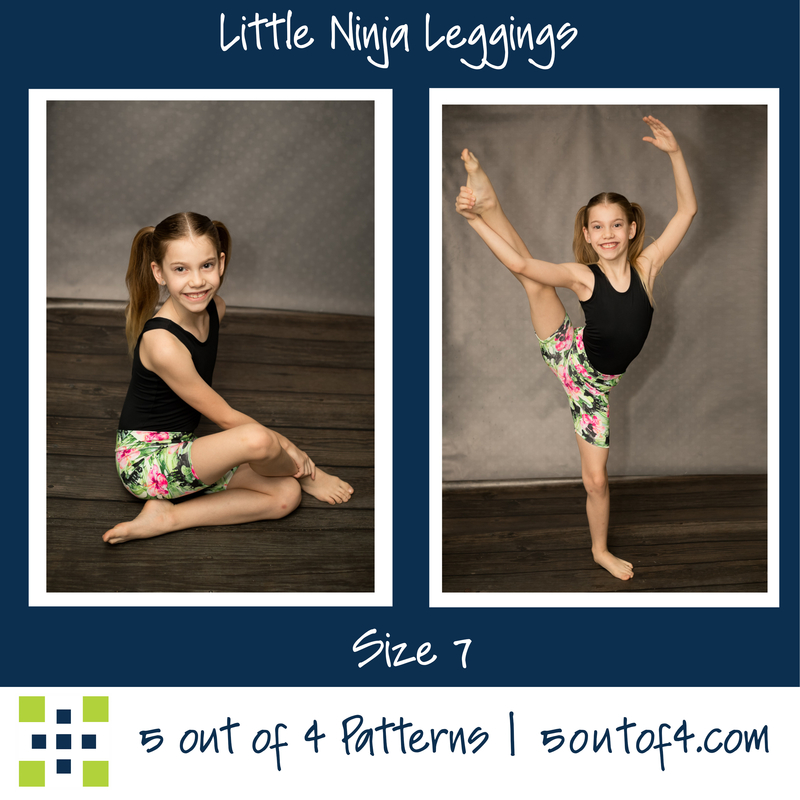 Not all of them offer the gussets and not all of them offer video tutorials to show how to measure your kids and how to install the gusset correctly. 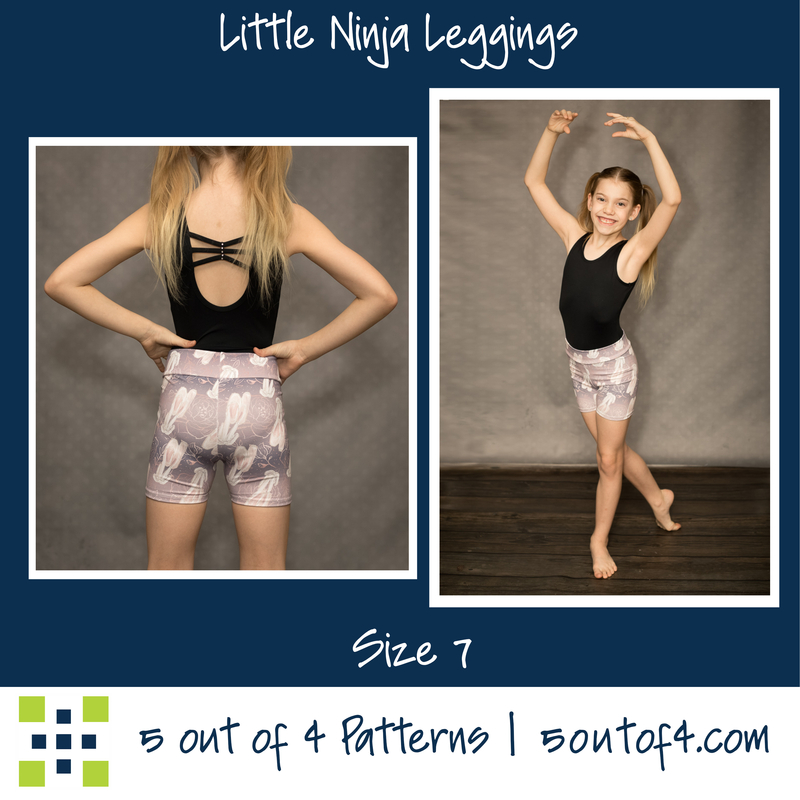 Here at 5 out of 4, we take pride in providing inclusive sizing and a range of resources to help you become the best sewist possible. 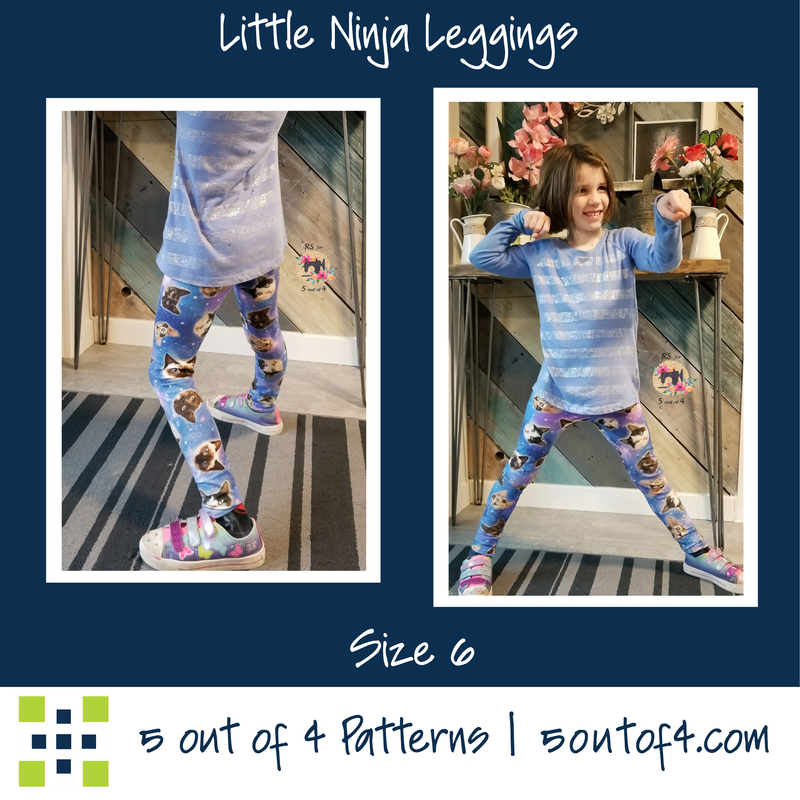 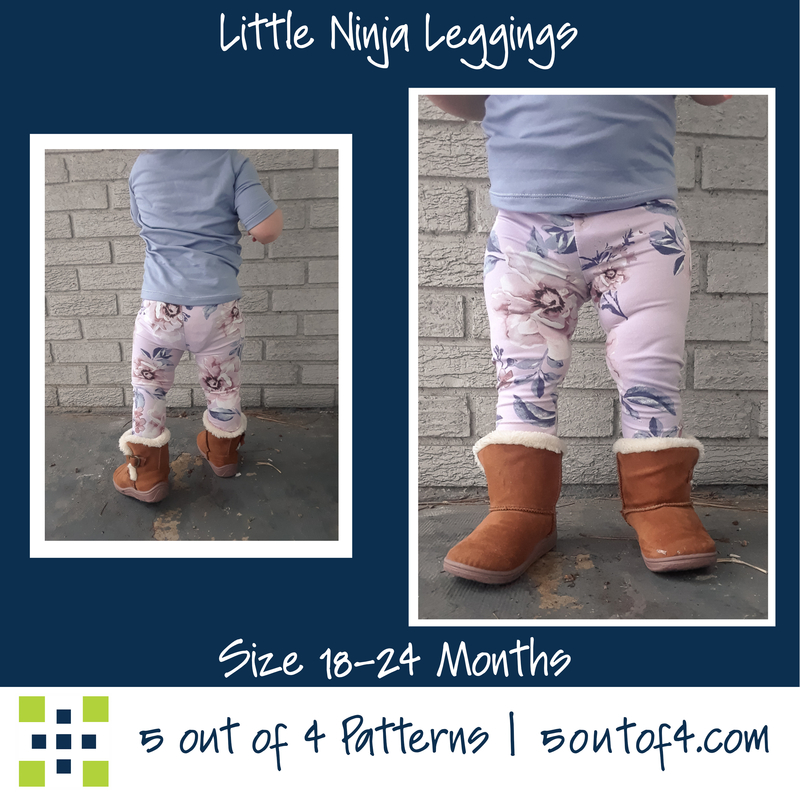 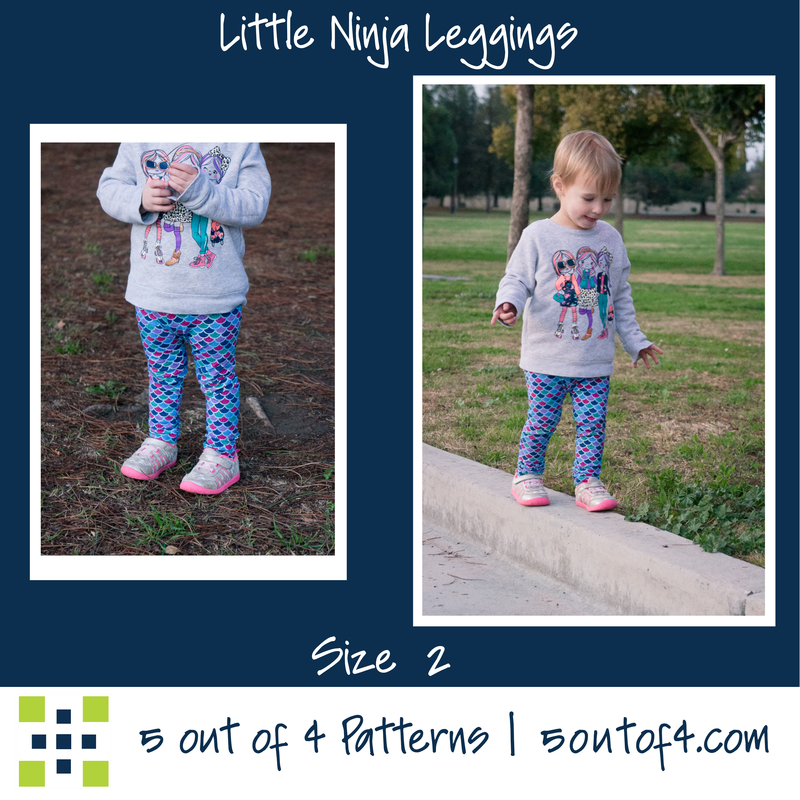 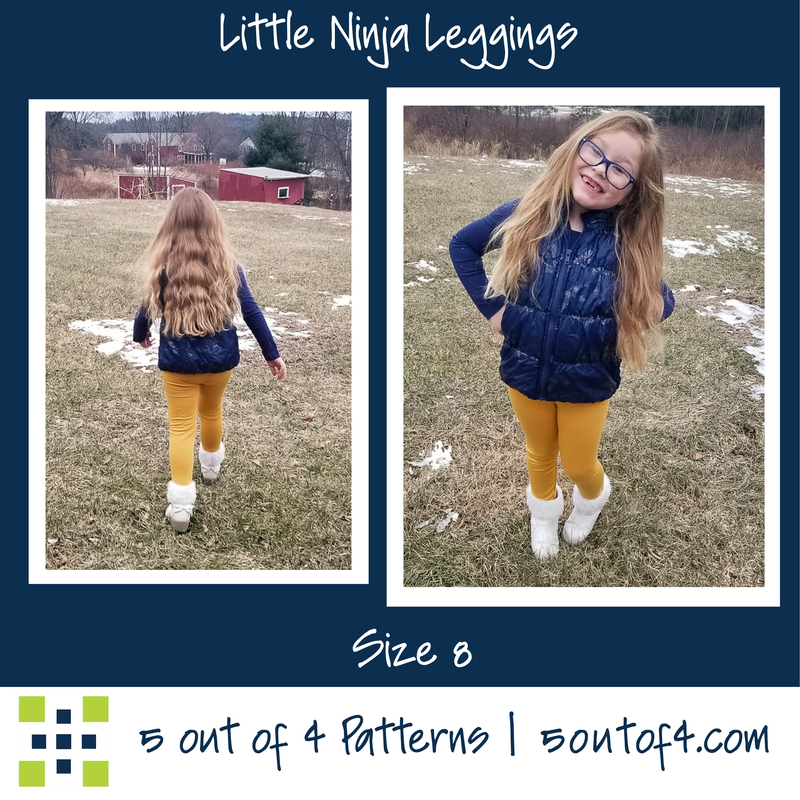 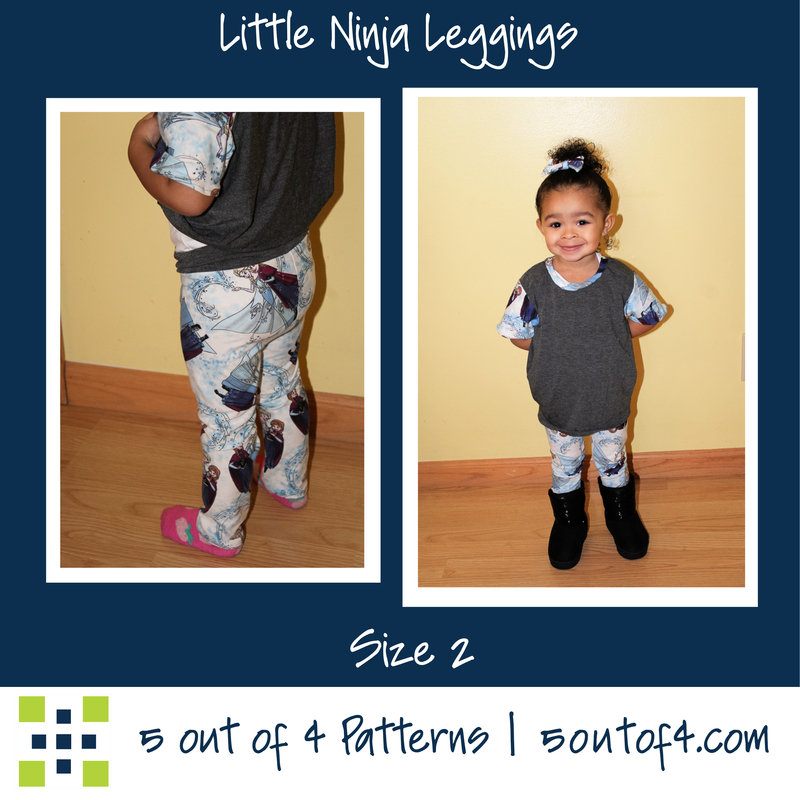 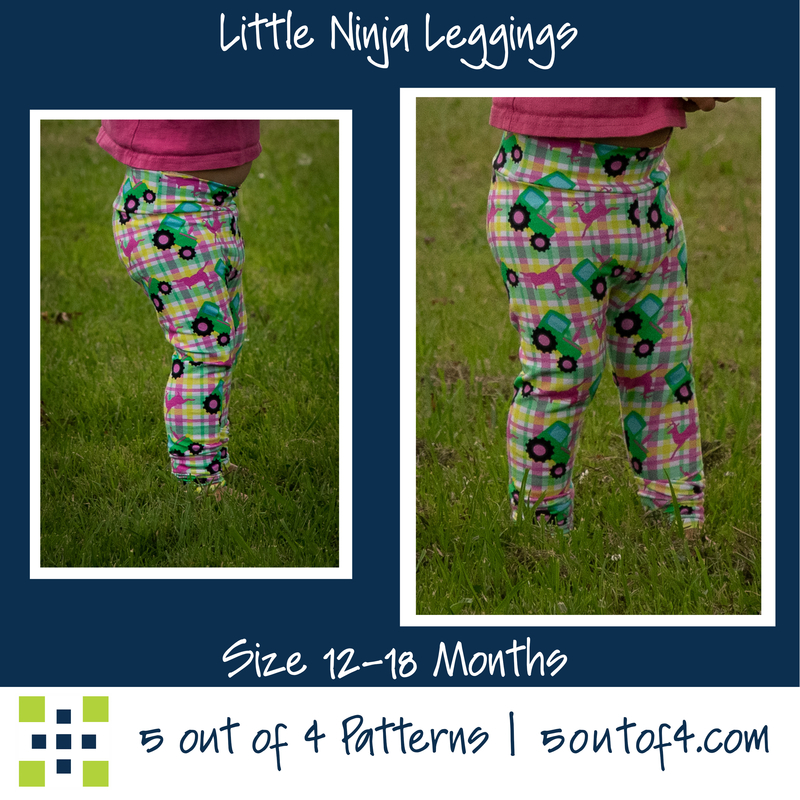 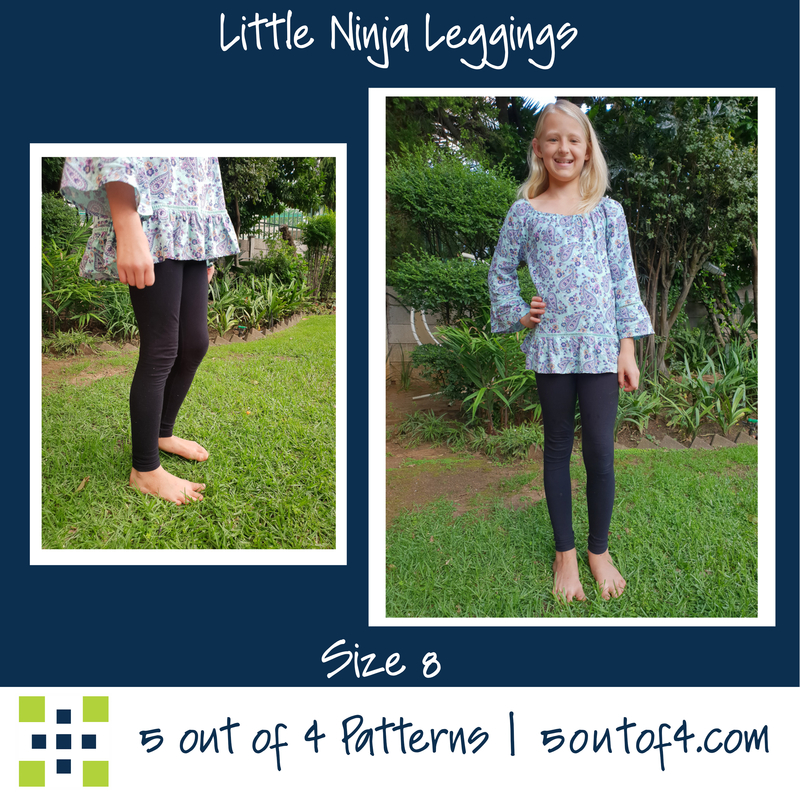 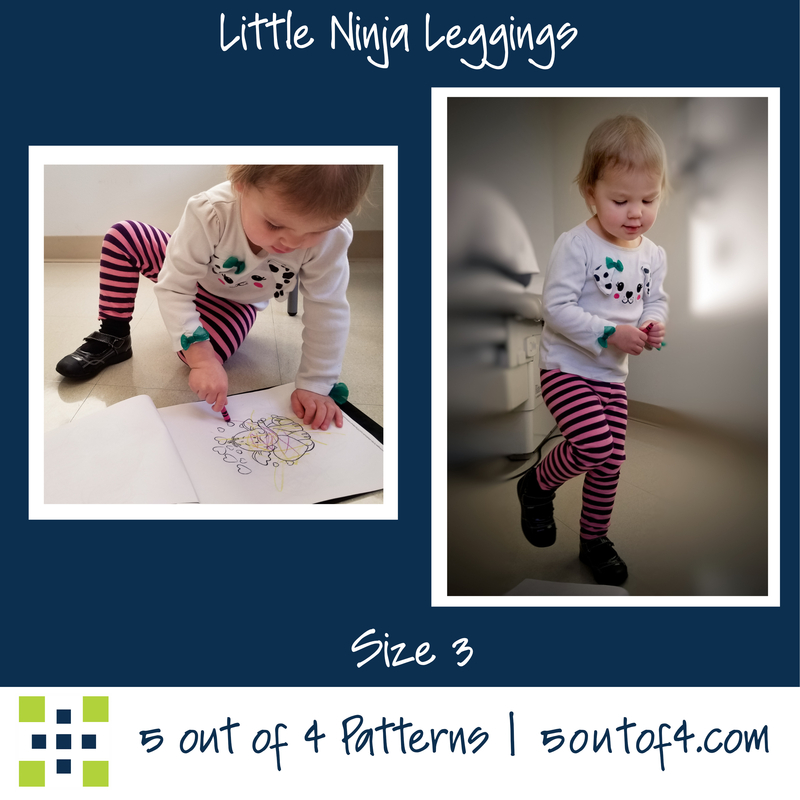 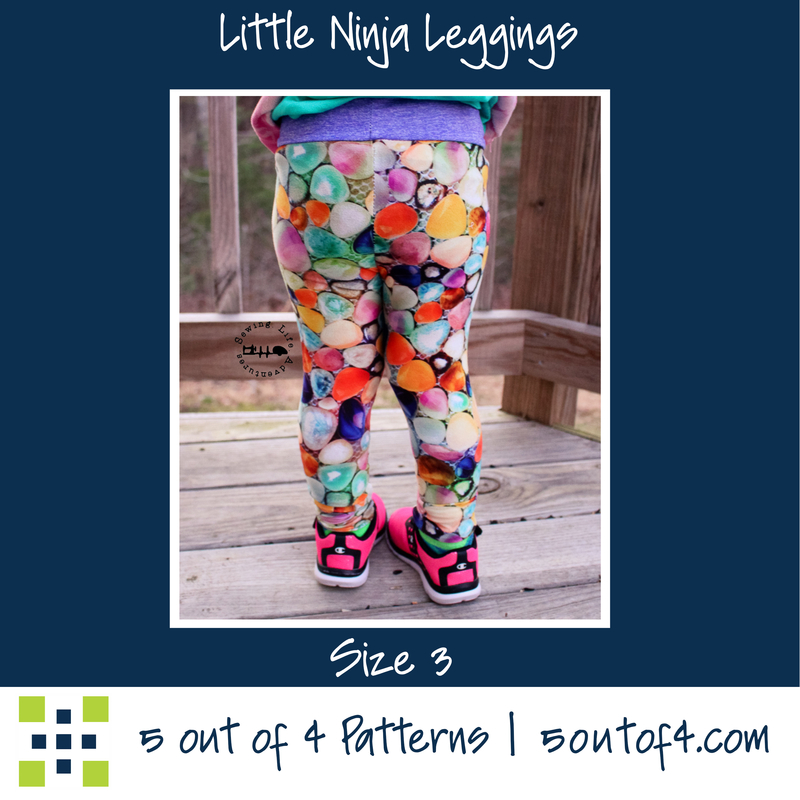 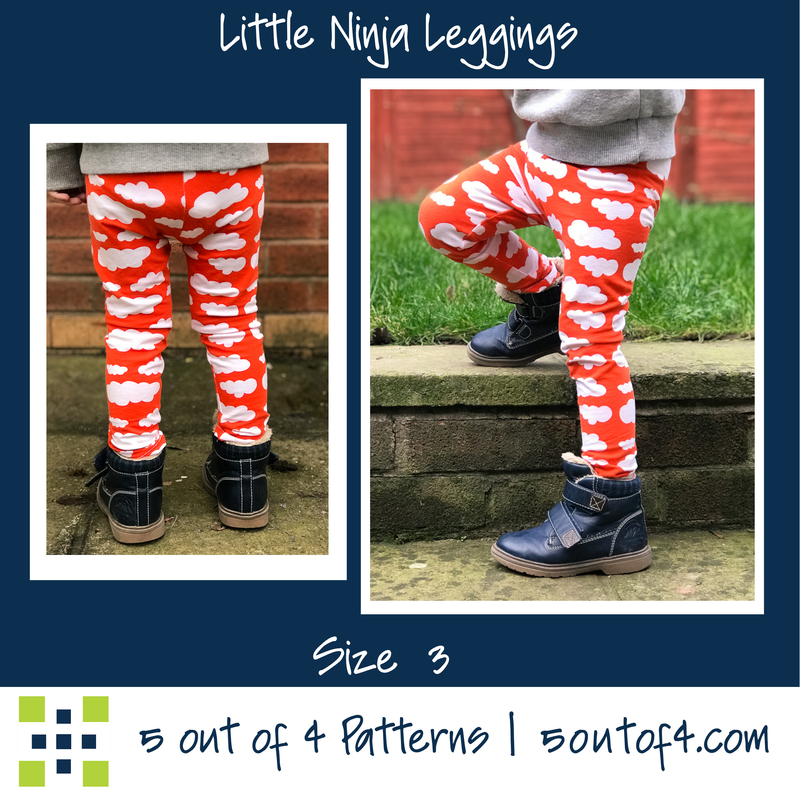 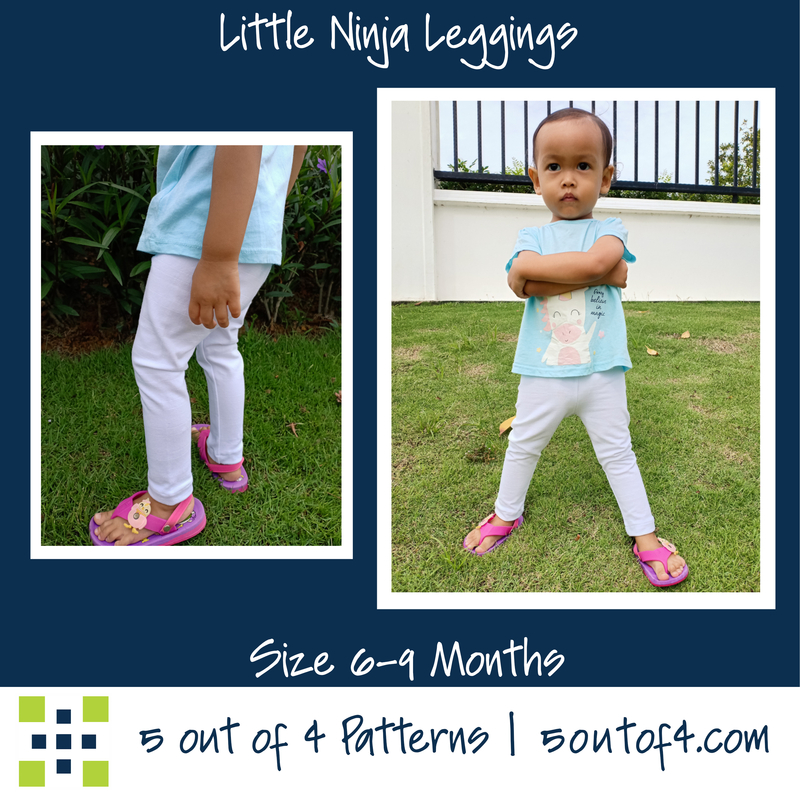 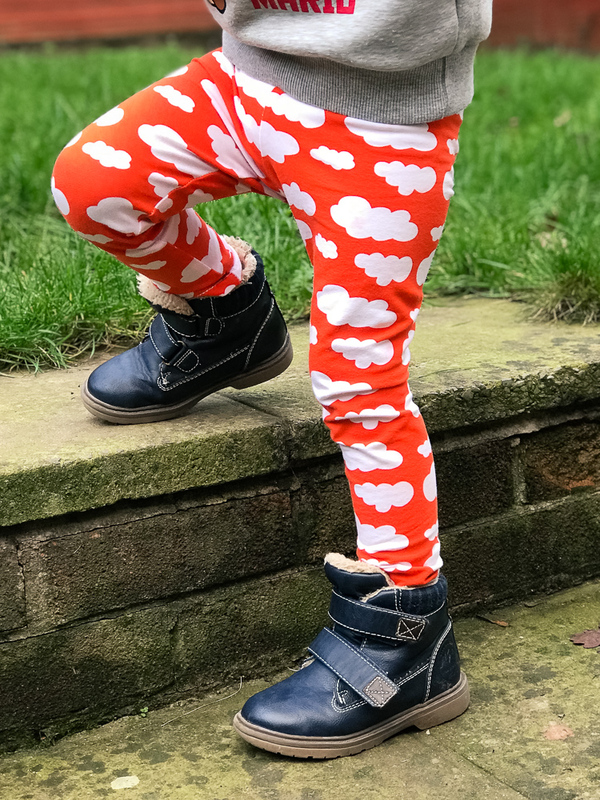 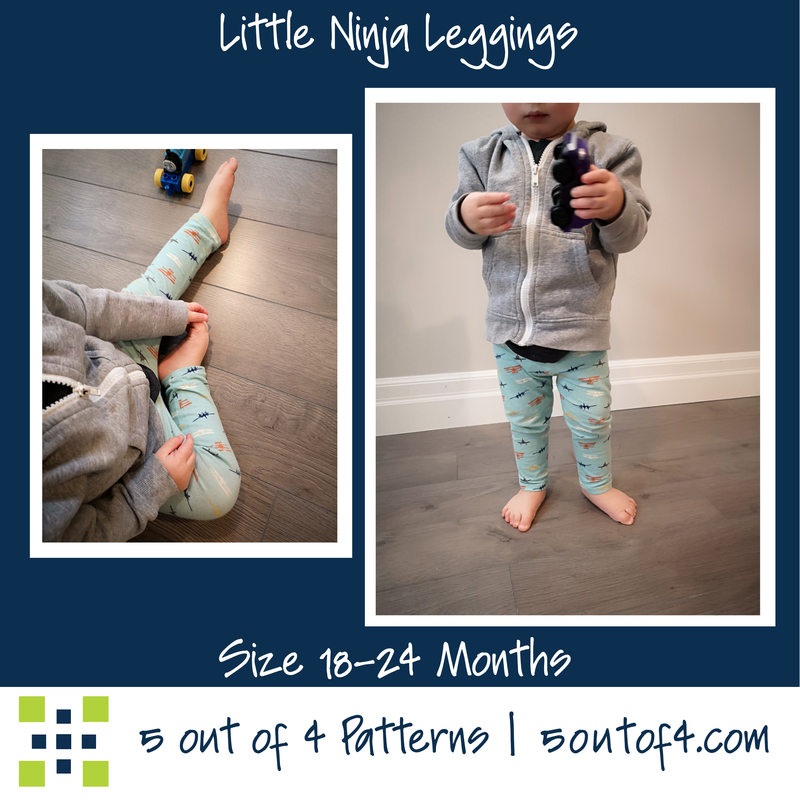 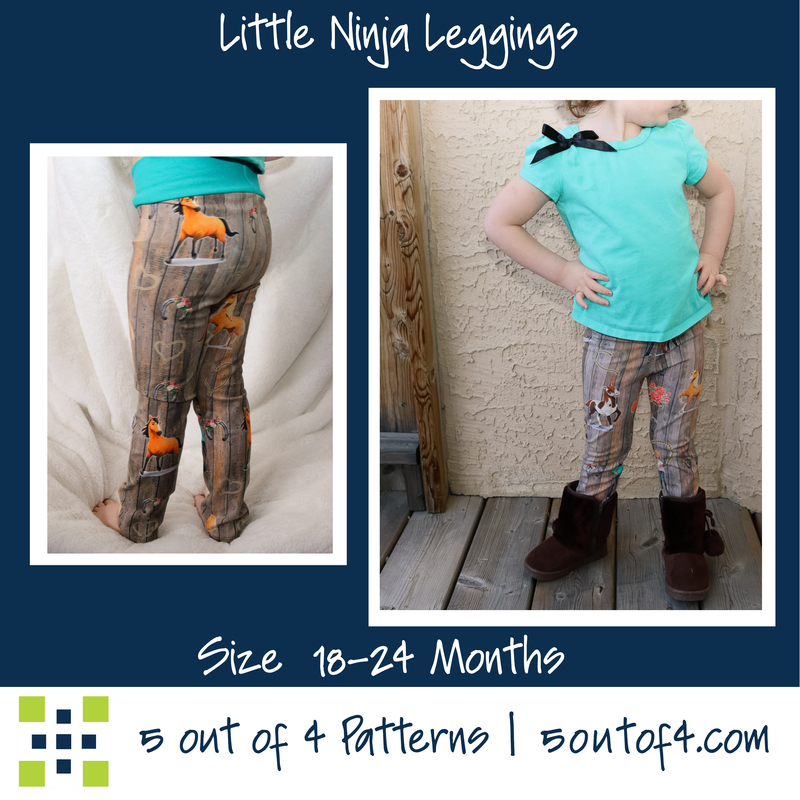 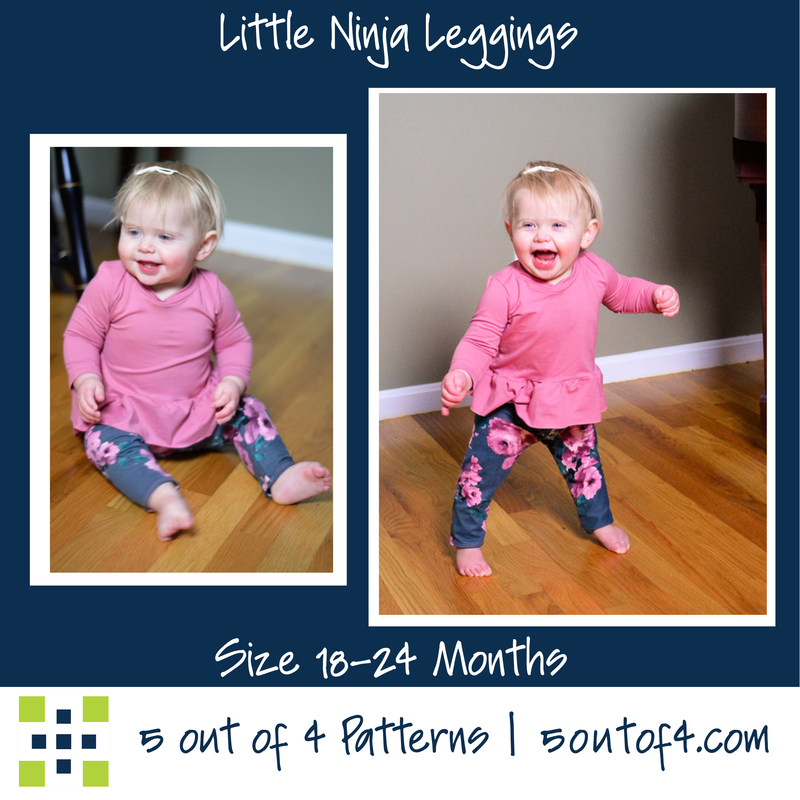 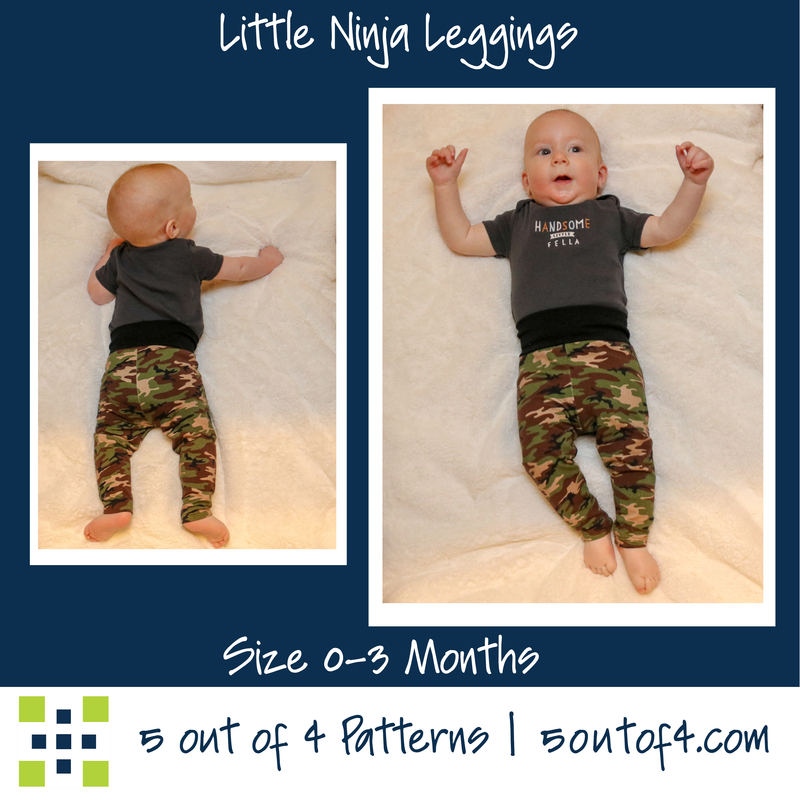 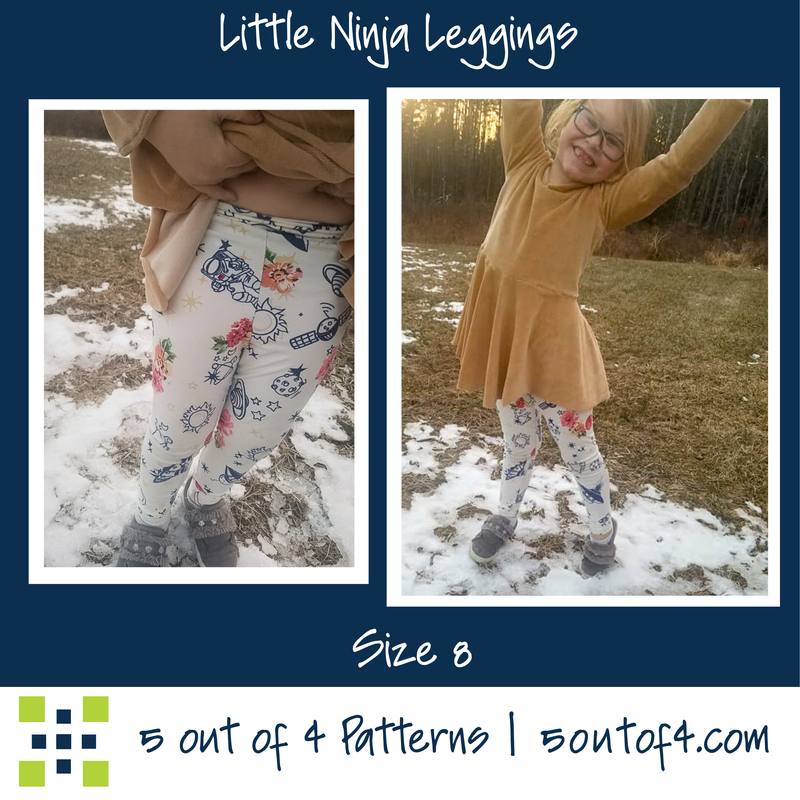 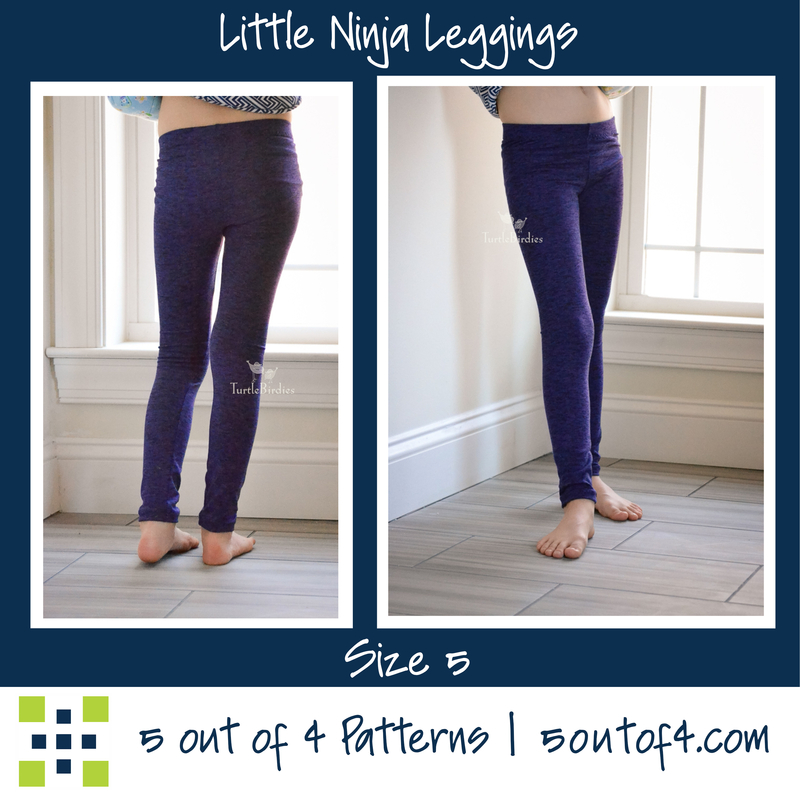 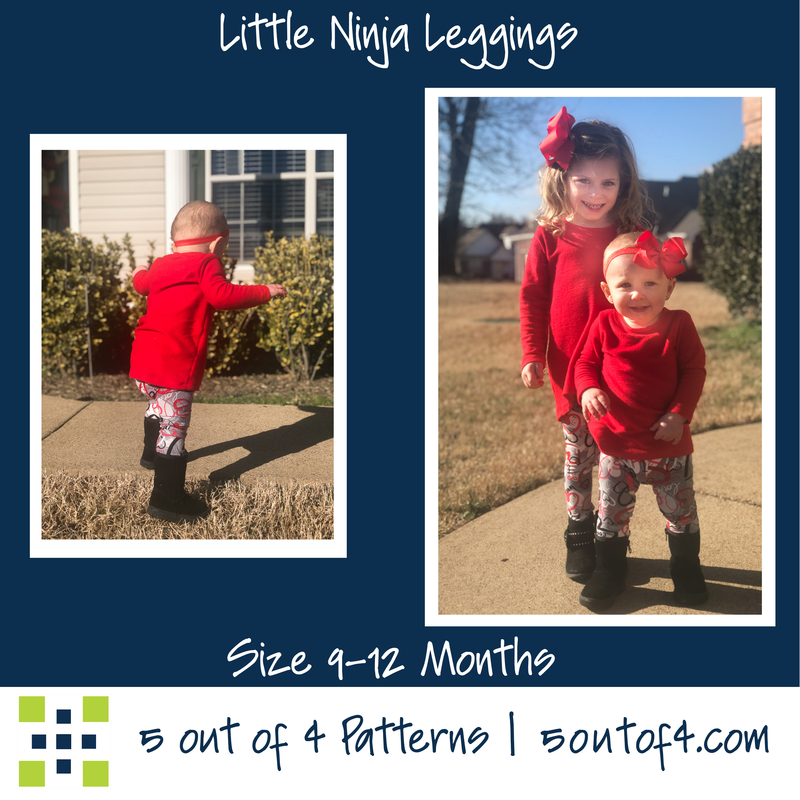 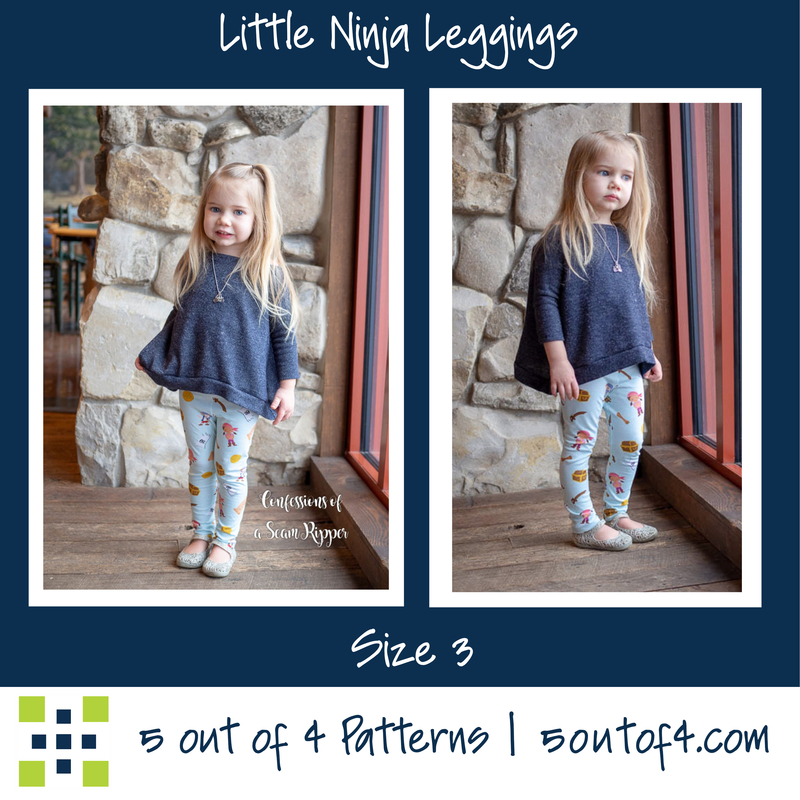 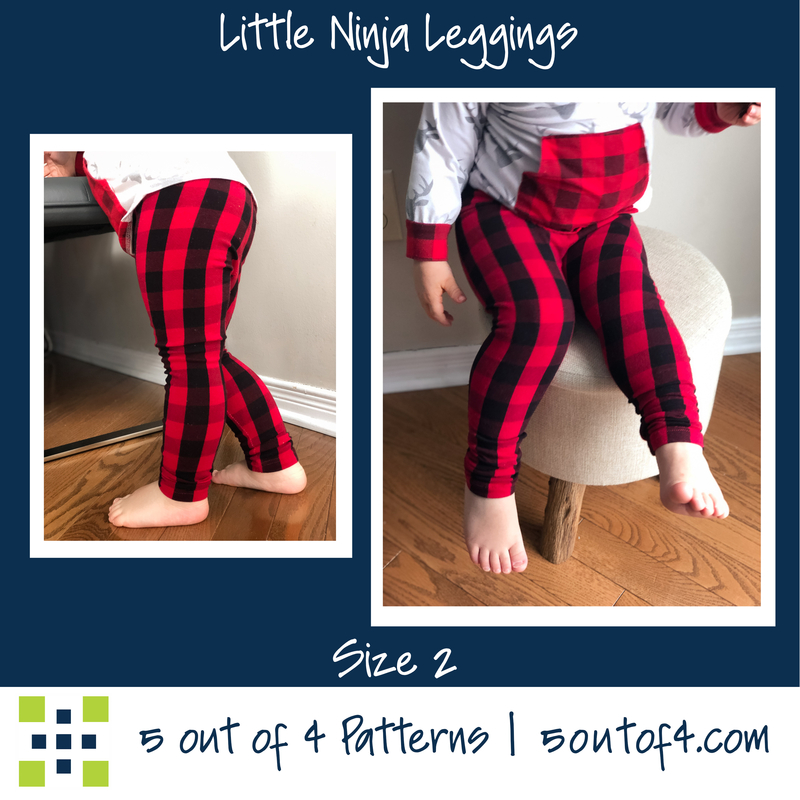 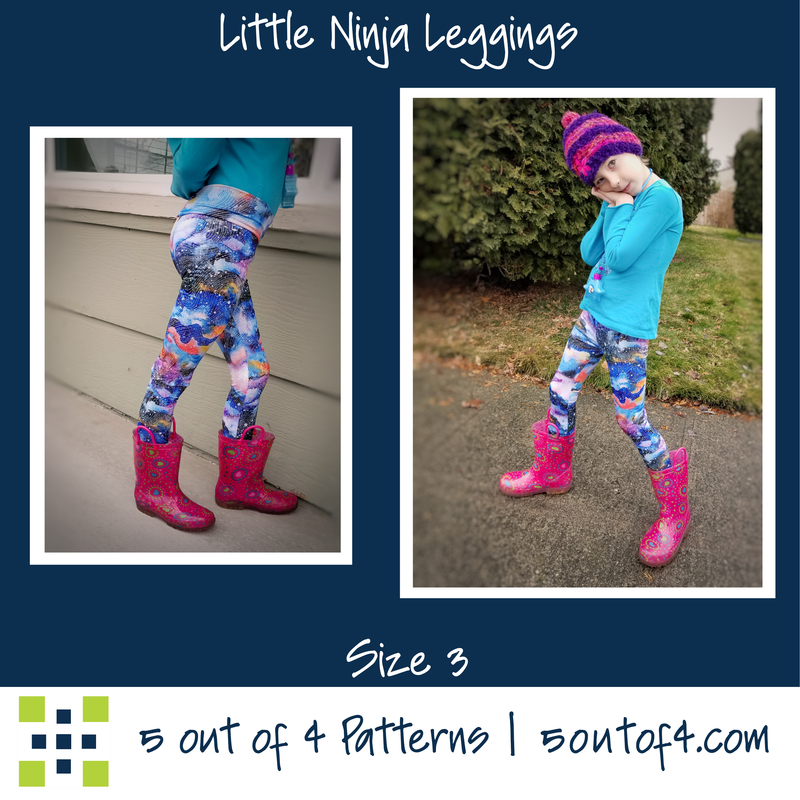 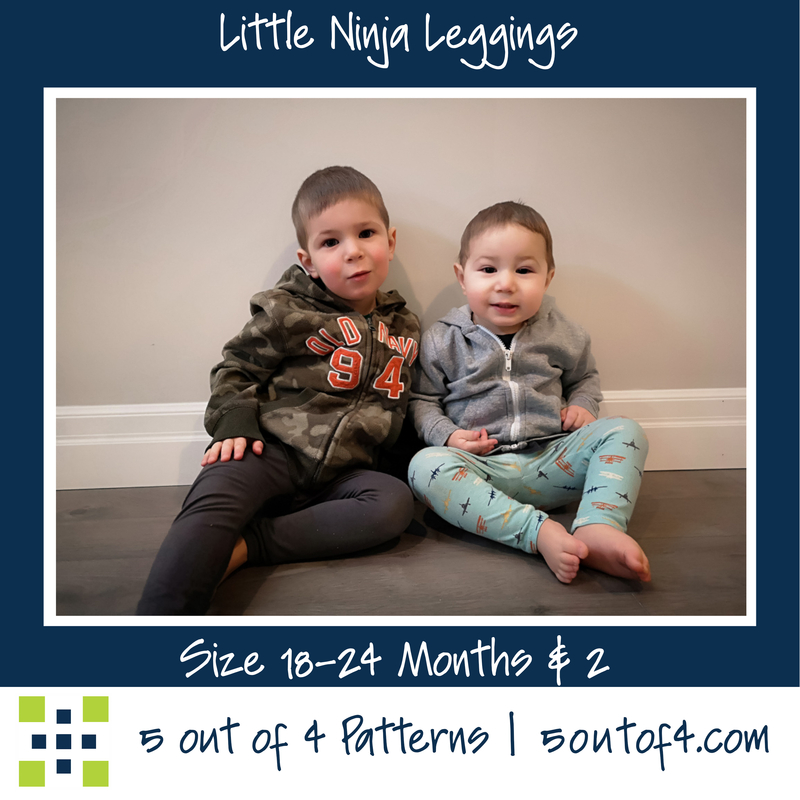 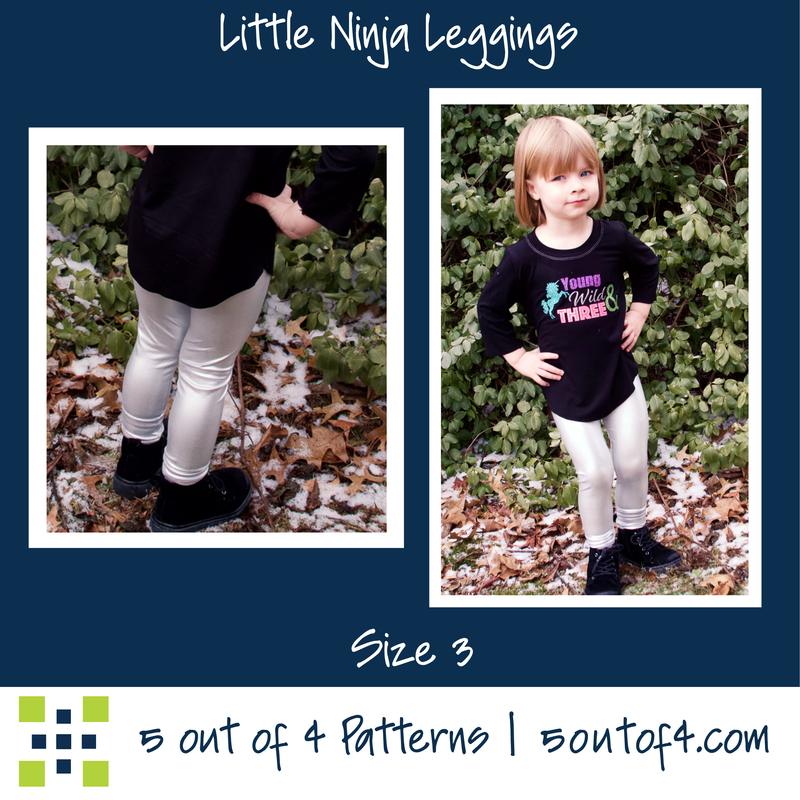 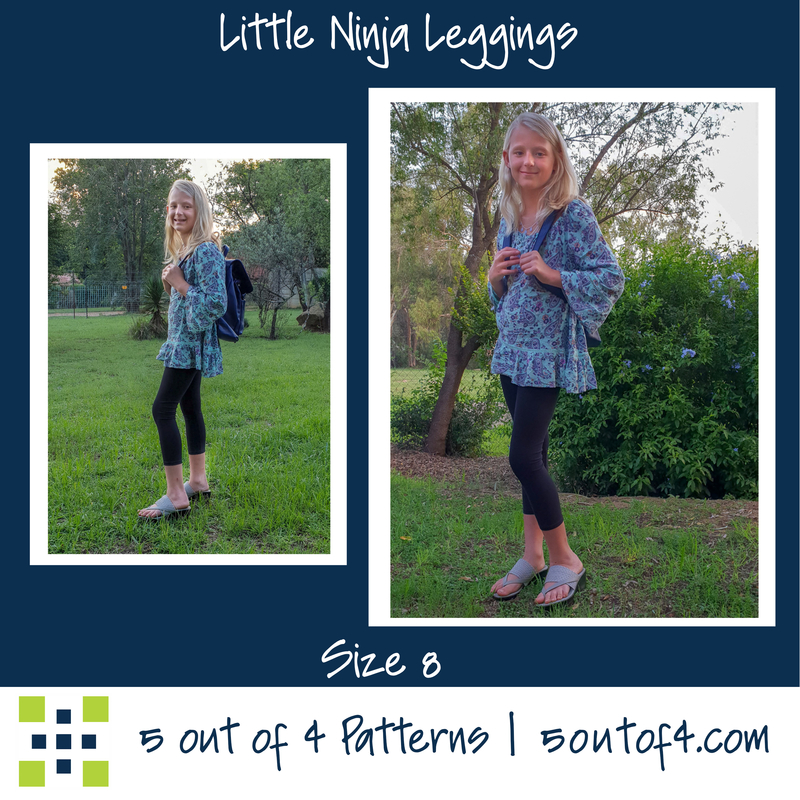 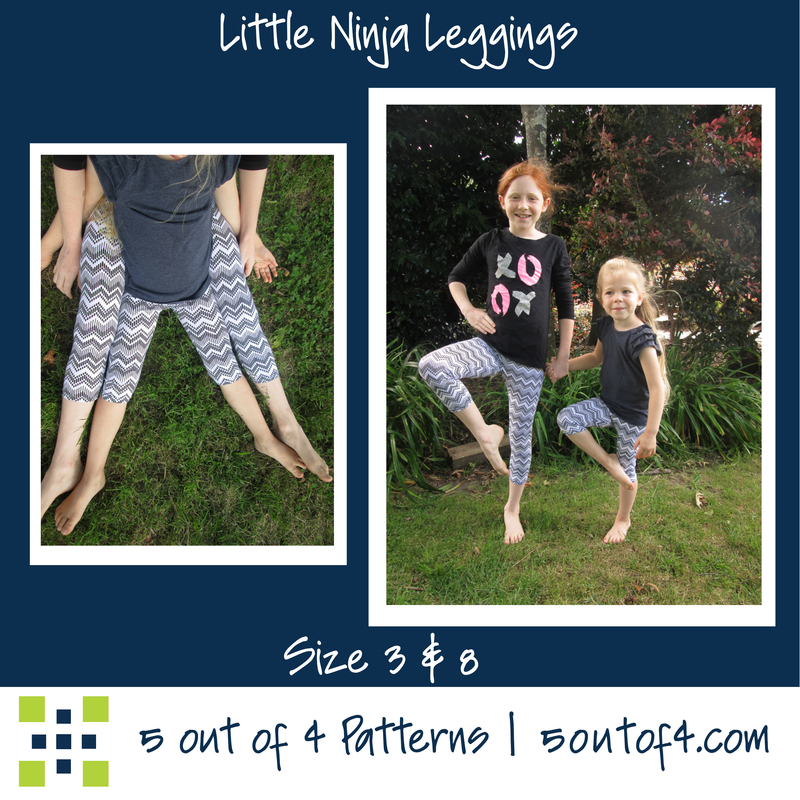 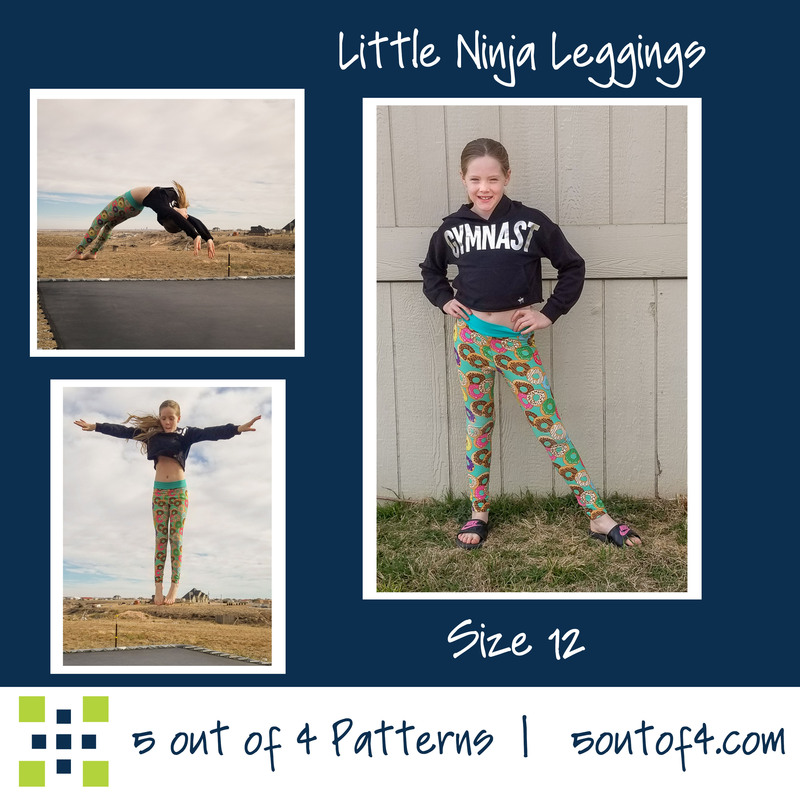 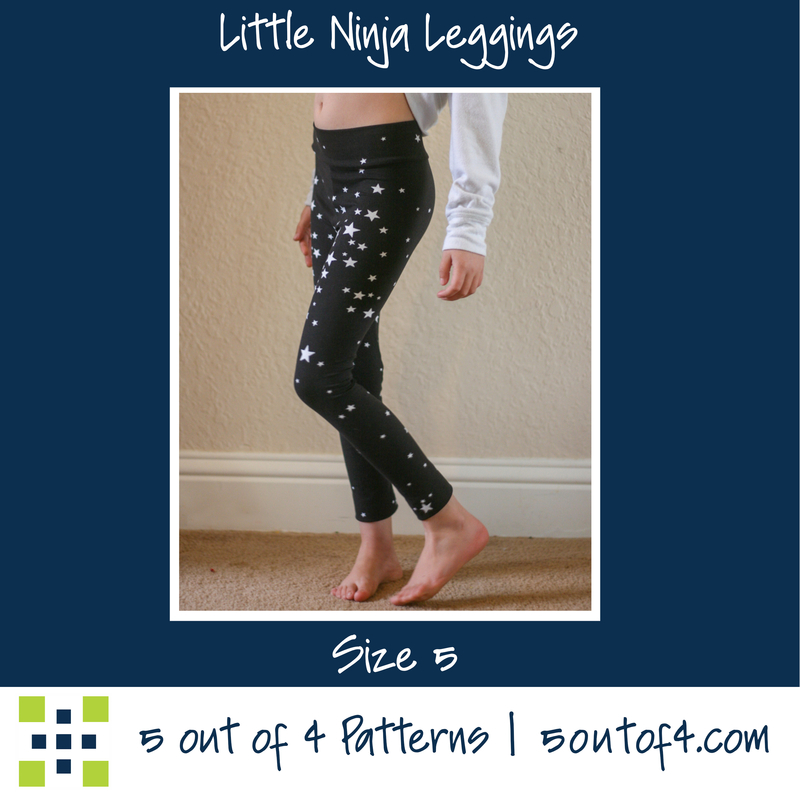 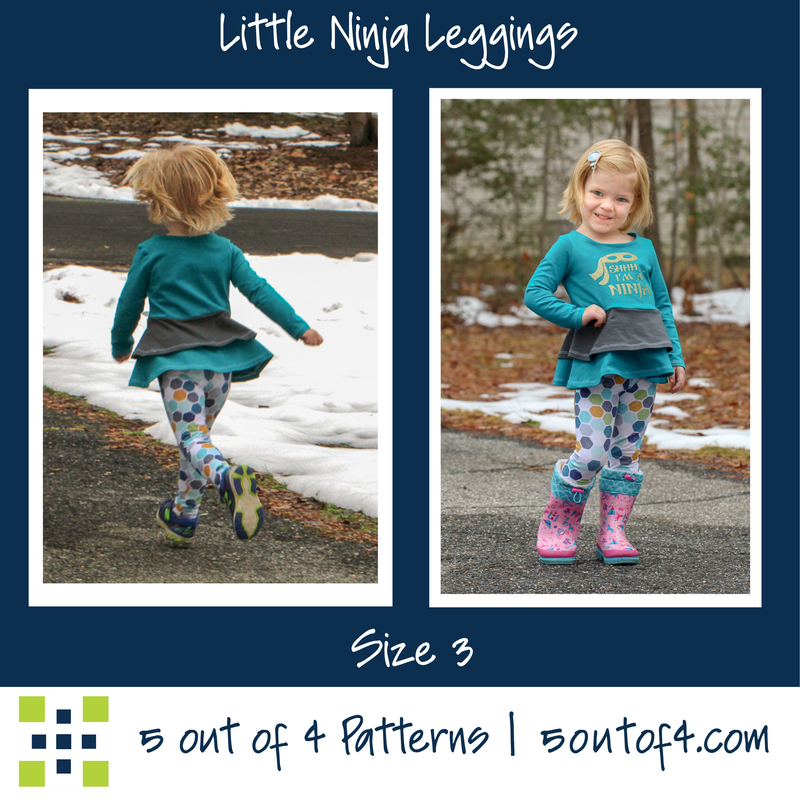 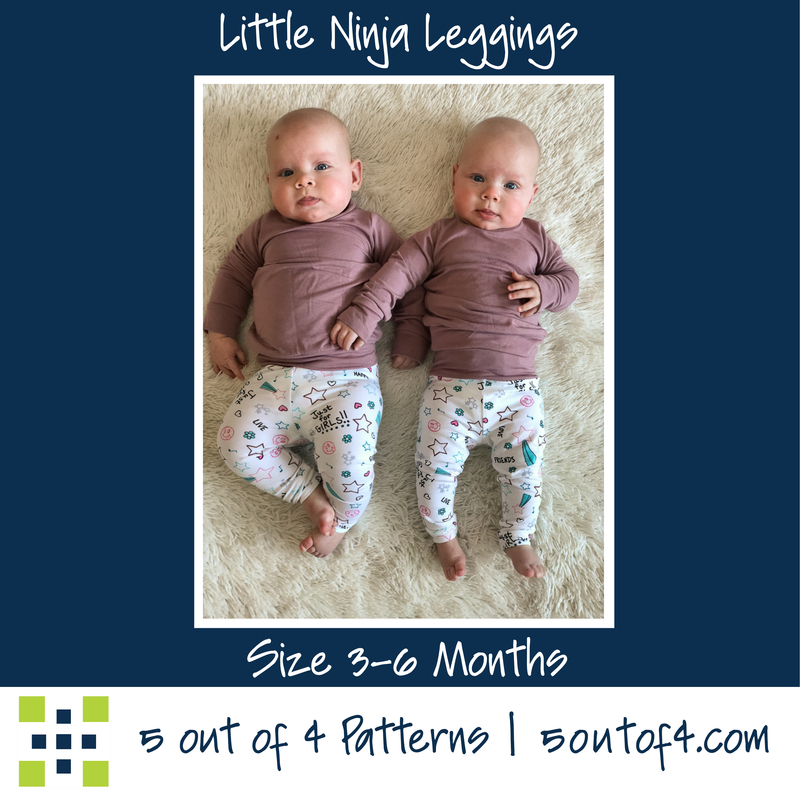 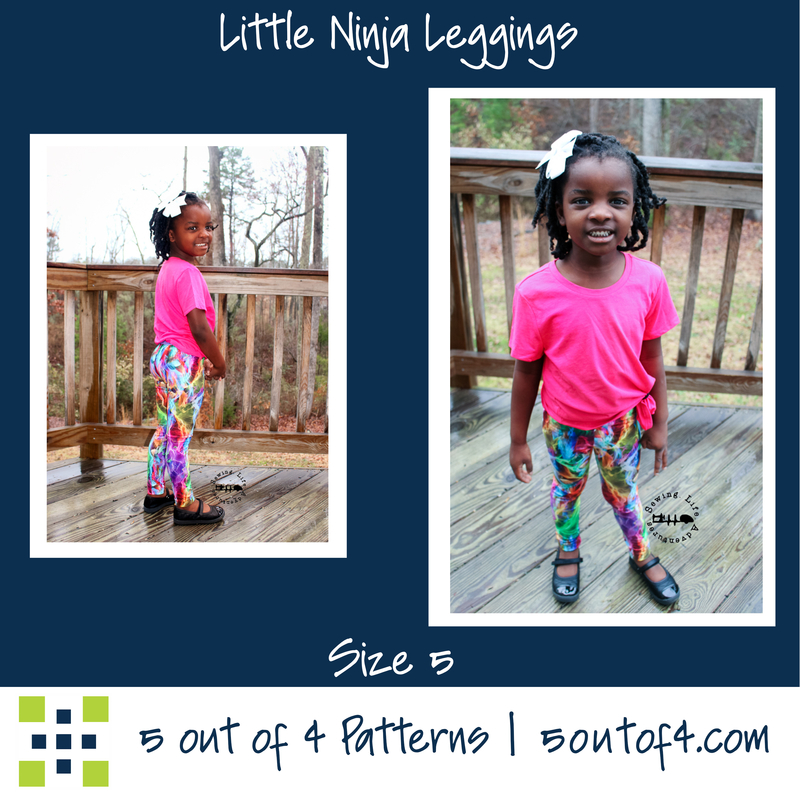 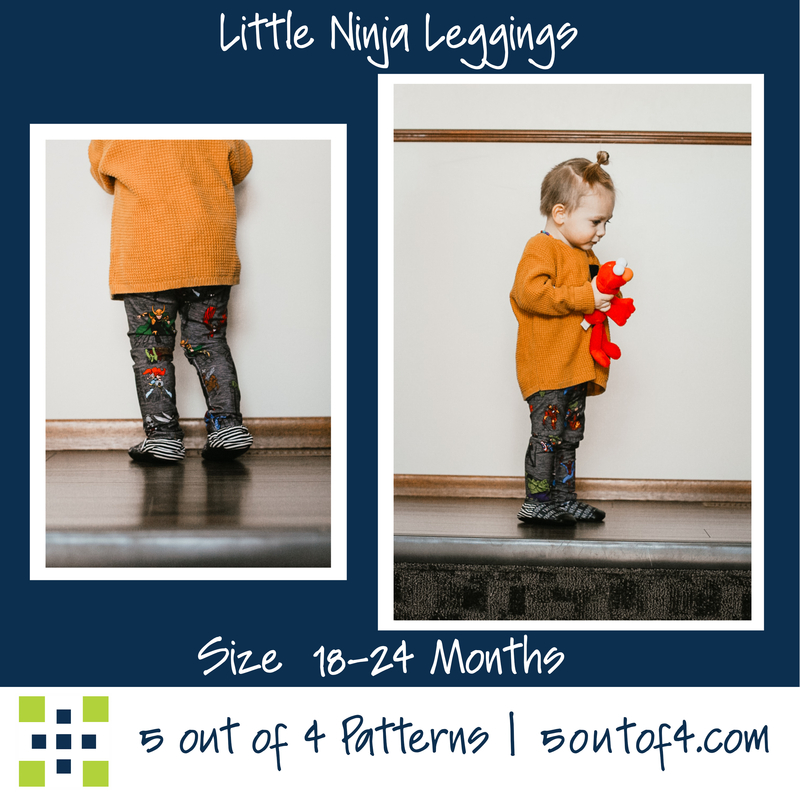 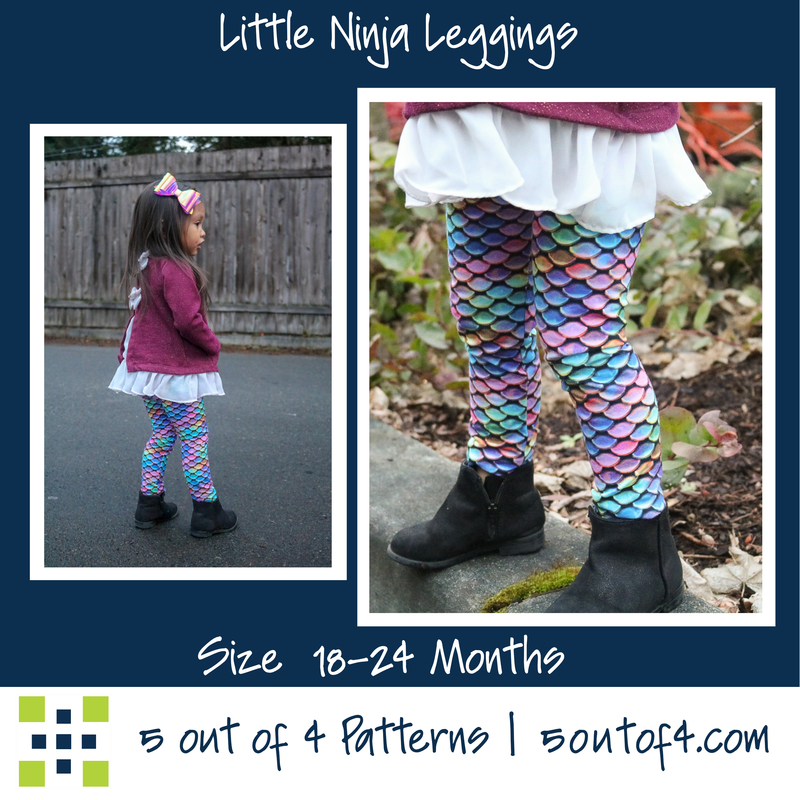 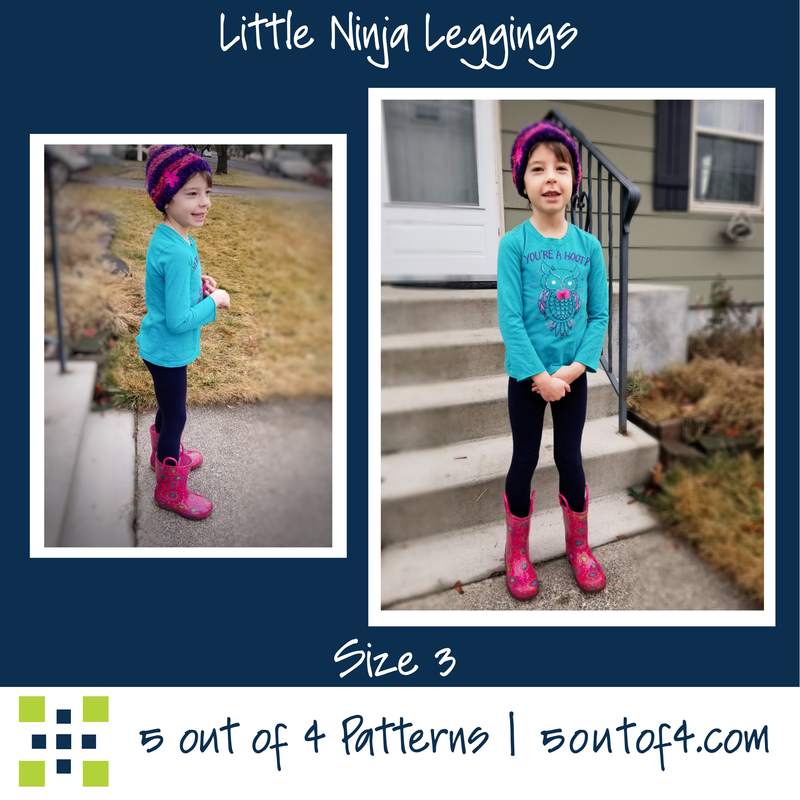 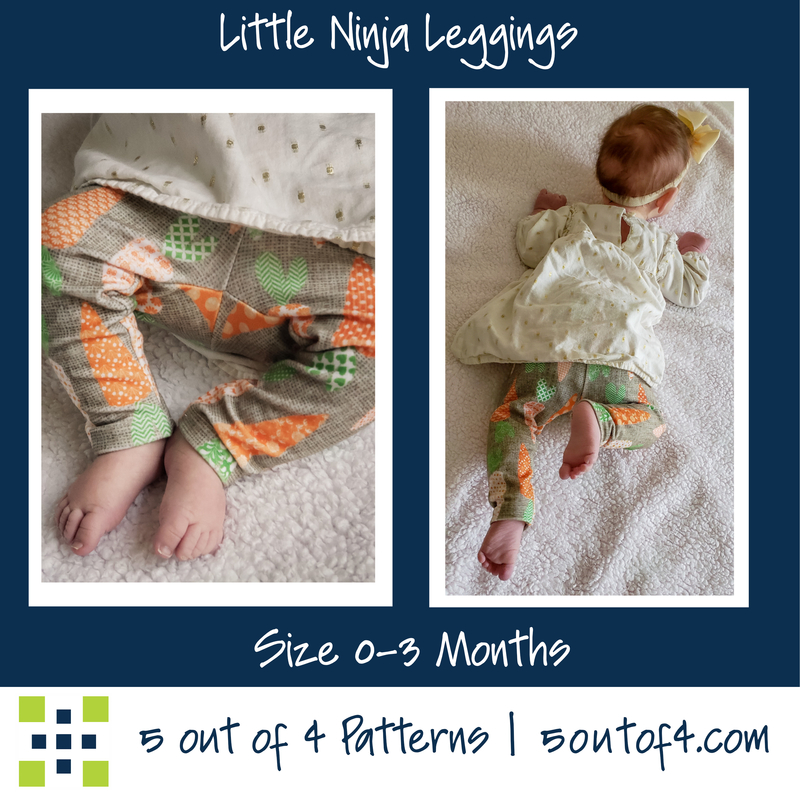 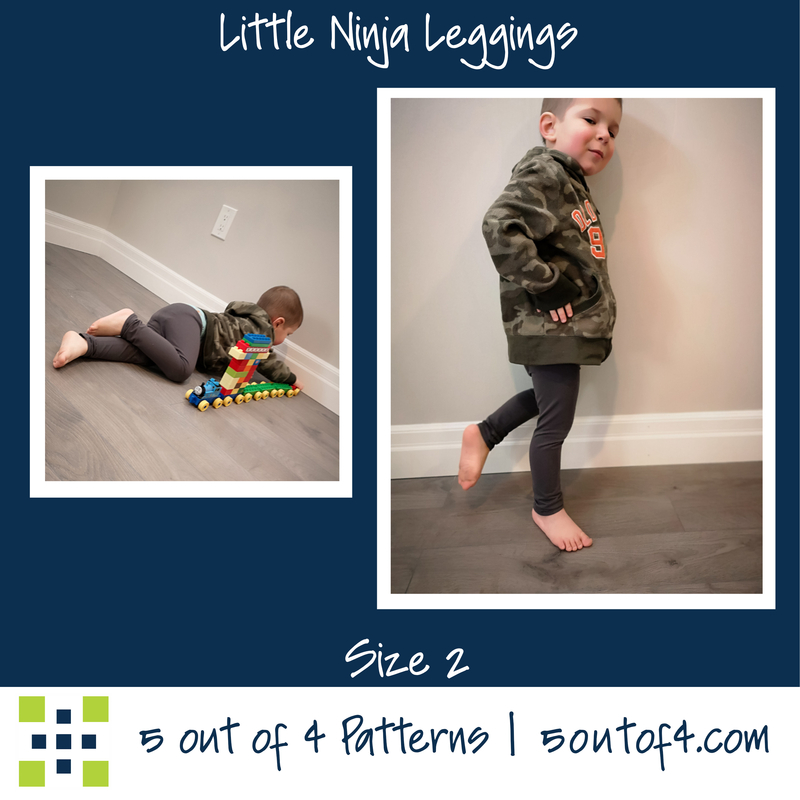 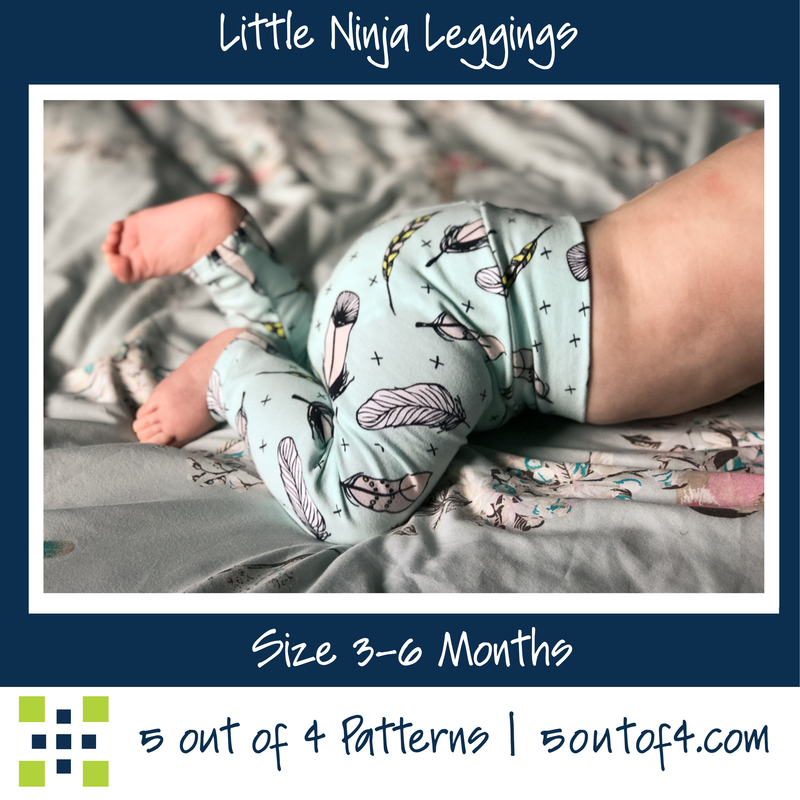 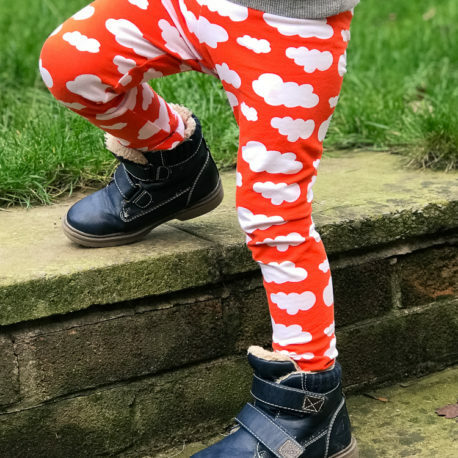 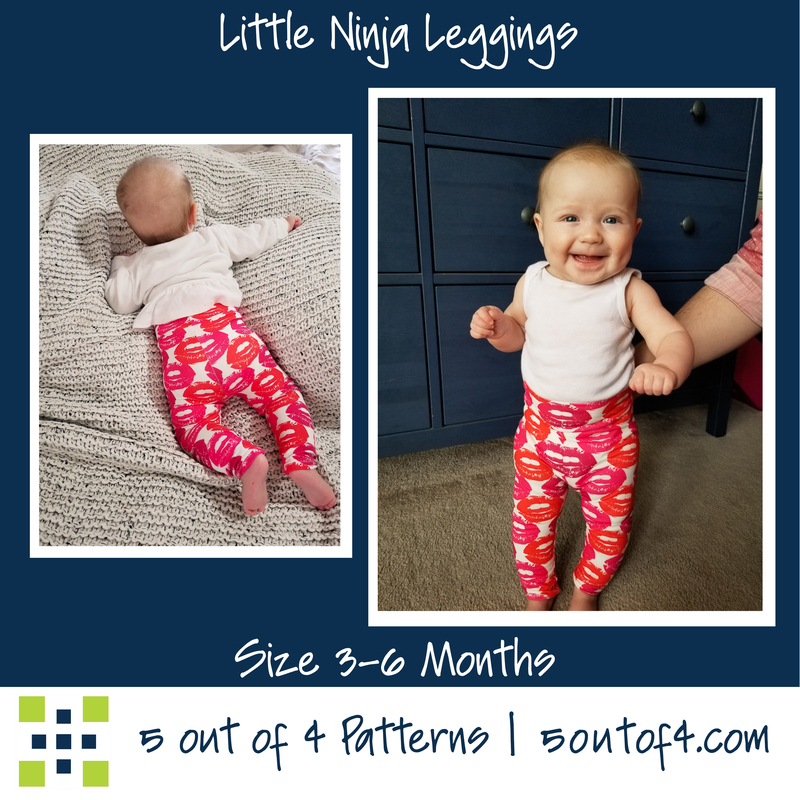 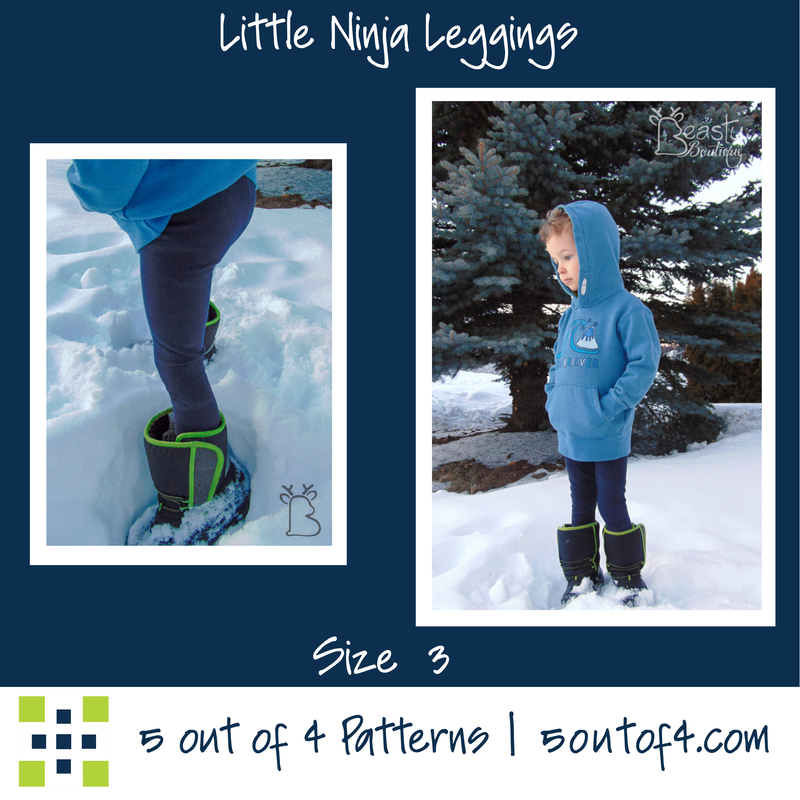 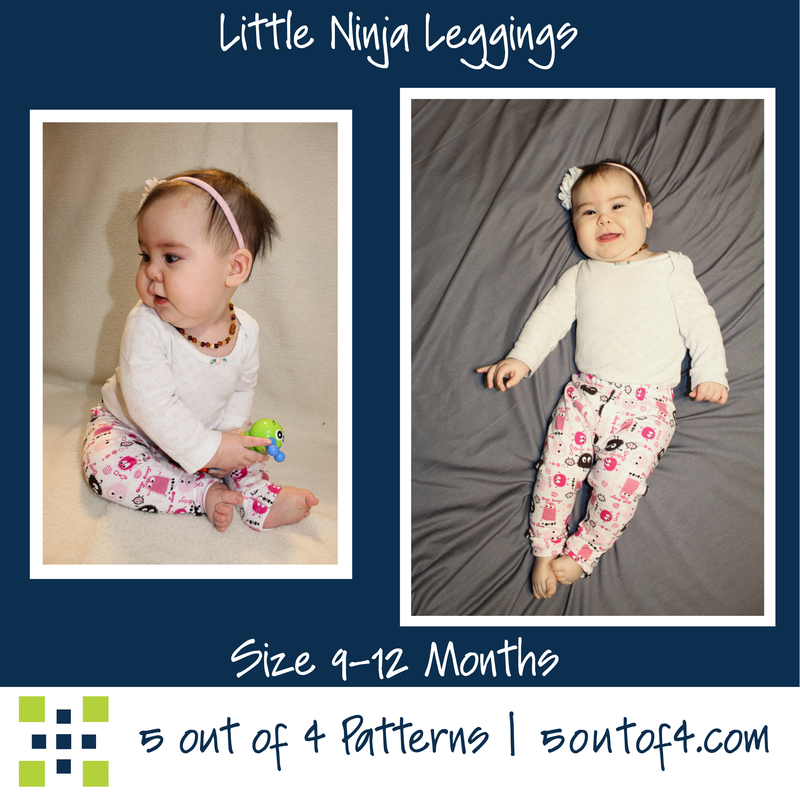 The Little Ninja Leggings PDF sewing pattern is available for sizes 0-3m-14. 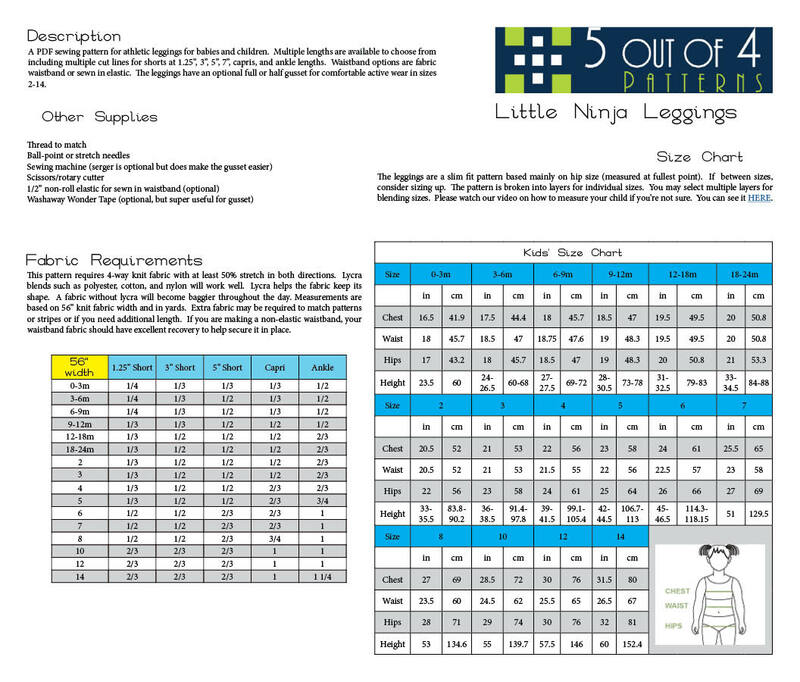 The size chart and fabric requirements are listed in the last image. 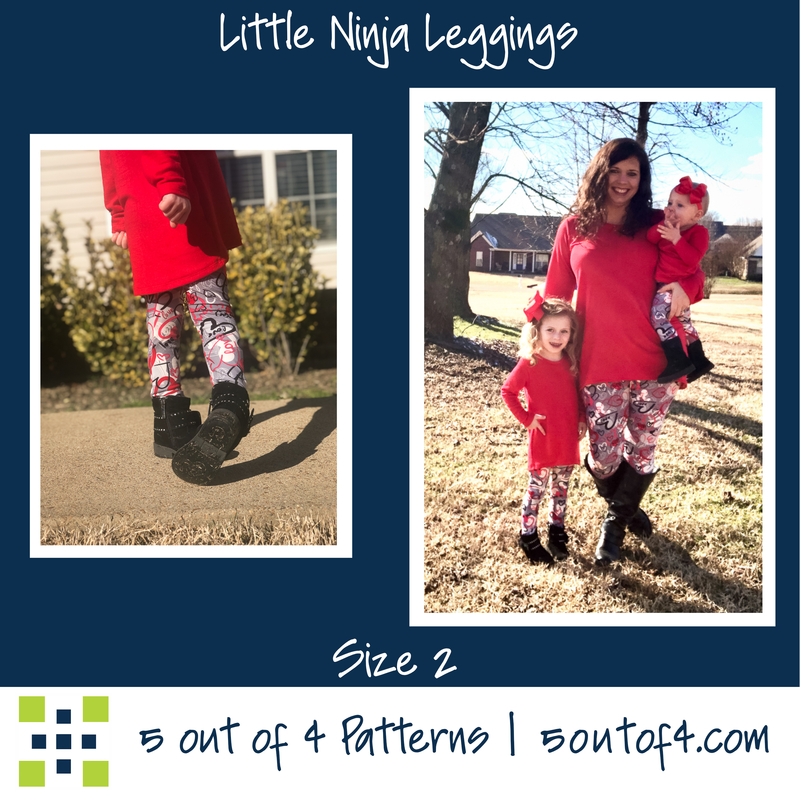 Don’t forget the women in your life! 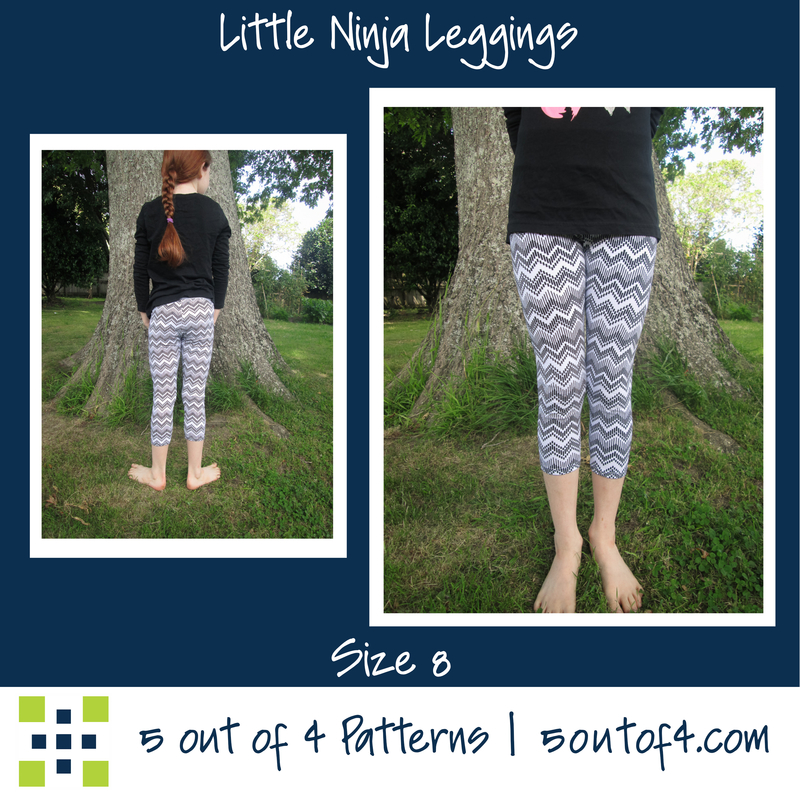 Grab the Ninja Pants (for free using a code in the pinned post over in our Facebook group)!